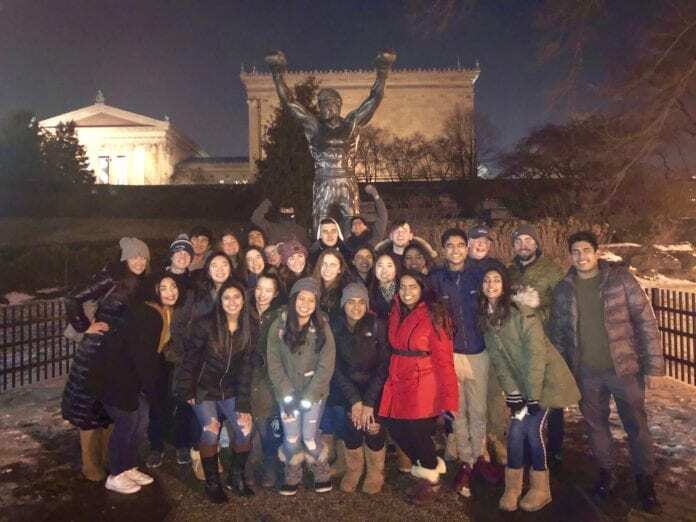 The New Hyde Park Memorial High School Model United Nations team recently competed at the Ivy League Model UN conference held in Philadelphia. The conference brought together more than 3,000 students from all over the country to debate some of the globe’s most pressing issues. Led by head delegate Amanda Saji, the New Hyde Park team tackled some of the most important challenges facing humankind. Congratulations to all the delegates, and special congratulations to the following delegates who were recognized for excellence in their committees: Nicolette Iliadis and Dylan Mehta, who received the Honorable Delegate award in the committee on United Nations Commission of Narcotic Drugs as the country of Afghanistan; Dario Gimenez, who received the Honorable Delegate award in the Peace of Westphalia Conference as Fabio Chigi; and Amanda Saji, who received the Best Delegate award in the AdHoc committee as Karen Ross. The New Hyde Park Model United Nations team is led by Mr. Jonathan Novak and Ms. Melanie Deegan. The team has had great success over the years debating at various conferences at Harvard, Johns Hopkins, MIT, Princeton, Rutgers and Yale and the national championships held in New York City. Their next competition is the Sewanhaka Intra-District Model UN Conference held at Elmont Memorial High School on March 30.